Christian Hosoi was born on the 5th October 1967, in California, USA, and is a professional skateboarder, best known as a winner of such contests as NSA (1985), Thrasher Savannah Slamma I (1987), Titus World Cup (Germany) (1988), and Japan Slam Jam (1989). Hosoi’s career started in 1981. Have you ever wondered how rich Christian Hosoi is, as of early 2017? According to authoritative sources, it has been estimated that Hosoi’s net worth is as high as $500,000, an amount earned largely through his successful pro skateboarding career. In addition to being a skater, Hosoi also appeared in a few movies, which have improved his wealth too. 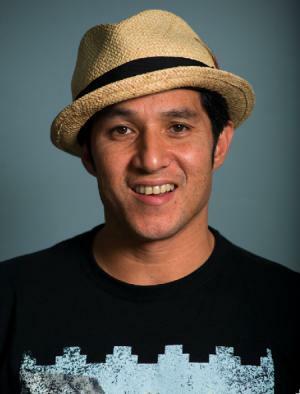 Christian Hosoi is a son of a Caucasian mother and Japanese father from Hawaii, and grew up in Los Angeles and Hawaii. He began skating when he was seven years old, stating that Shogo Kubo, Tony Alva, Jay Adams, and Stacy Peralta were his idols. His father, Ivan, became a manager of the Marina Del Rey Skatepark, and Christian dropped out of the school to develop his talents. In 1979, Power Peralta sponsored Hosoi, refused to turn him pro, so he left for the Dogtown Skateboards. However, Dogtown closed the business soon after, so he moved to the Sims Skateboards and turned pro at the age of 14. His first win at the professional level was in the NSA Summer Series #5 in Vancouver, Canada, in 1985. Two years later, Christian won the Thrasher Savannah Slamma I, while in 1988, he recorded three big wins in Vision Skate Escape, Ramp Riot Bells beach (Australia), and Titus World Cup (Germany). Hosoi ended the ‘80s with victories at the NSA Savannah Slamma III: Arena Street Style (1989) and Japan Slam Jam (1989). His career took a hit in the early ‘90s, when the recession was a big problem and he even faced bankruptcy when his drug addiction grew. Hosoi only returned to skateboarding in the late 2000s, winning at the 10th Annual Tim Brauch Memorial Contest Grandmasters Event (2008) and Etnies GVR Skull Bowl – Masters in Lake Forest, California. His latest wins were at the X Games 15 Skateboard Park Legends contest in 2009, and the X Games 16 Skateboard Park Legends contest in 2010. Christian Hosoi has also appeared in such movies as “Thrashin’” (1986) starring Josh Brolin, and “Hardflip” (2012) alongside Randy Wayne, John Schneider, and Rosanna Arquette. Regarding his personal life, Christian Hosoi has been married to former nightclub dancer Jennifer Lee since 2001, and has four sons with her. He was arrested in 1995, but after failing to appear in court, Hosoi declined to compete at skateboarding events in order to avoid arrest. However, in 2000 Christian was arrested when tried to transport 1.5 lb (0.68 kg) of crystal meth from Los Angeles to Honolulu, and spent four years at the San Bernardino Central Detention Center, but was paroled in 2004, despite his sentence of ten years. Hosoi’s wife and her uncle influenced him to become a born-again Christian, and he really changed his ways, and he even released his autobiography entitled “HOSOI: My Life as a Skateboarder Junkie Inmate Pastor” in 2012. 2 Started his own skateboard company, "Hosoi Skates", in 1985. 3 Was released on parole in the beginning of June, 2004. 4 Was sentenced to five years and 10 months in federal prison followed by three years of supervised release for carrying nearly 1.5 pounds of crystal methamphetamine to Honolulu in January 2000. 5 Is of Japanese, Scotch-Irish, French, Chinese and Hawaiian decent. 6 Was one of America's top 40 skateboarders during the 80s.